A tense, moving, and wondrously strange first novel. The photographs and text work brilliantly to create an unforgettable story. 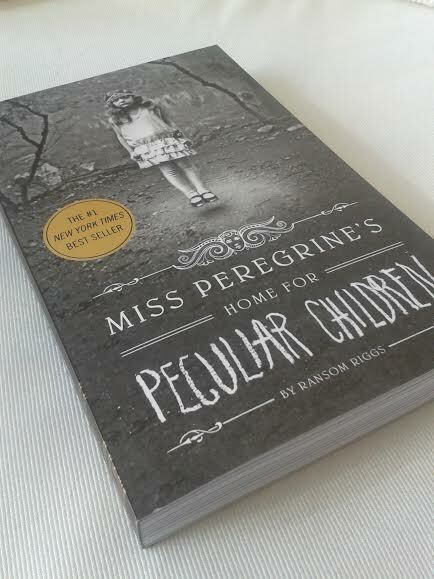 I’m very excited to have received this in the post yesterday from The Book Depository 🙂 It has completely surpassed my expectations with the beautiful detailing and black and white imagery throughout. It is definitely a book you want to get in paperback rather than Kindle format, thats for sure. Has anyone else read this? I would love to hear what you thought of it !!! I’ve been hearing so much about this book, really need to read it. Yes, me too Vinnie … I have been hearing about it for the last couple of years and my curiosity got the better of me last weekend and I just HAD to order it. I’m so glad I got the physical book too. I can’t stop looking at it !!! Sounds like it was totally worth it. Also wanted to say thanks so much for your feedback on my blog. Thank you so much for that compliment. I did a post that got a lot of attention the other day, it’s called Love Your Bum Part 3. Please let me know what you think of the post. I have wanted to grab that one for a while now but I have vowed not to buy any books in the near future… I seriously need to reduce my pile of unread paperbacks but it will be one of the first purchases on my list for sure. Looking forward to reading your review on it! Oh I am, been reading The Martian for hours now. Hope you are having a great one as well! So far I am absolutely loving it. I have yet to find the perfect book, this isn’t the exception, but I cannot tell you how often I have laughed out loud because of it. On that count alone I highly recommend it. You should, it’s a great one, different from anything in the genre and is guaranteed to put you in a good mood, despite the dreadful setting. I gave it 3 stars but you seriously shouldn’t consider my rating because I rated it a while later after I’ve read it (which means I couldn’t recall my reading experience 100%) that’s why I actually started reading the first one all over again just this afternoon on the bus. I hope my rating’ll change! I hope I’ll enjoy the 2nd book and I hope you’ll enjoy the 1st, laughing! Don’t worry, a 3 star rating wouldn’t put me off but I would love to know what you make of it 2nd time round 🙂 Be sure to let me know? I’m really excited to start this book sometimes this year because of all the photos! I love stories that are told in a slightly creative manner. Also helps that a movie with Eva Green is coming out soon! Huh! The odds! My brother’s fiance just picked up this book and showed it to me. I didn’t realize it was a thing (much less a series and a to-be-movie). Perhaps I’ll have to find time to read it when she’s done (and I finish like… 12 other books on my TBR… >.>) What exactly is the genre of this book?